I am lending mysupport to calls for a UK ivory ban to help protect elephants from further slaughter for the illegal ivory trade. 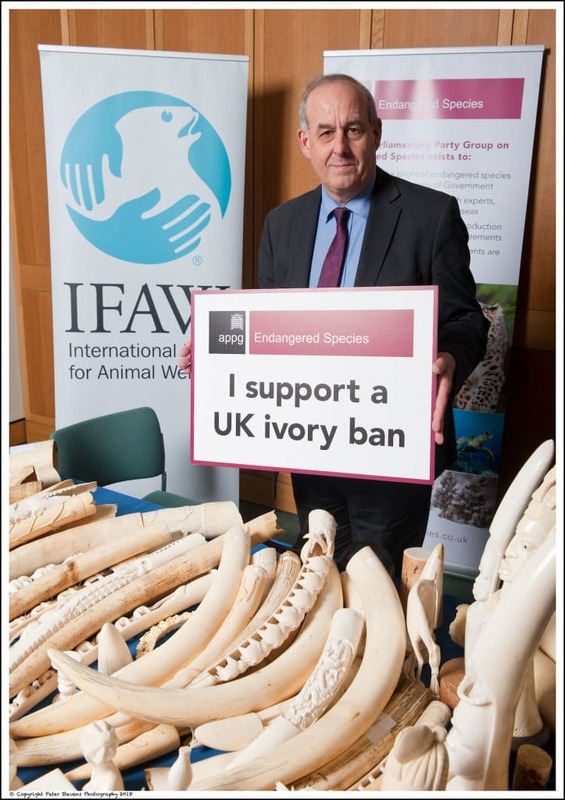 Recently I attended an event at Westminster organised by the International Fund for Animal Welfare (IFAW) and the All Party Parliamentary Group (APPG) on Endangered Species to highlight the elephant poaching crisis and public support for a UK ivory ban. I was able to view some of the many ivory items recently donated by members of the public to IFAW’s UK ivory surrender. IFAW invited people to surrender their own ivory to be destroyed as part of a campaign to close the UK’s ivory market and save this iconic species from the threat of extinction. The surrender has received overwhelming support from the UK public with almost 500 ivory items weighing around 150kgs donated in just a few months. Polling commissioned by IFAW reveals that the vast majority of the UK public want to protect elephants with a UK trade ban and do not wish to purchase ivory themselves. An overwhelming 95% of respondents polled by YouGov stated that they would not be interested in purchasing antique ivory*. A YouGov survey of MPs also found 97% of MPs to be supportive of either a total ivory ban or a ban with some exemptions**. Time is running out for elephants and we must act now before it is too late. It is shocking seeing all this donated ivory when in reality each piece of ivory represents a dead elephant, shot or poisoned for its tusks. Clearly from the amount of ivory donated to IFAW’s ivory surrender more and more people recognise that ivory should only be valued on a live elephant. It is very good news that all this ivory will be put beyond use.